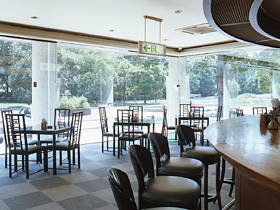 The Toyohashi City Art Museum, located in a quiet and serene atmosphere surrounded by trees in a corner of Toyohashi Park (former Yoshida Castle Ruins) opened on June 1, 1979 as a fullscale cultural museum. Since it’ s opening, the museum has sponsored exhibitions featuring local art, historical data and the permanent collection as well as offering works of both domestic and international fame. In addition, the museum has published catalogues relating to the above, offered special lectures and series of lectures to the general public. 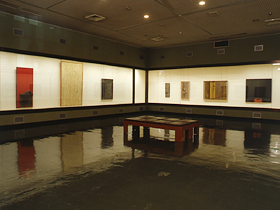 The exhibition rooms located on the first floor are also used by individuals and groups to display their works. Located on the first floor are three exhibition rooms used for museum-sponsored exhibitions as well as for individual or group use. 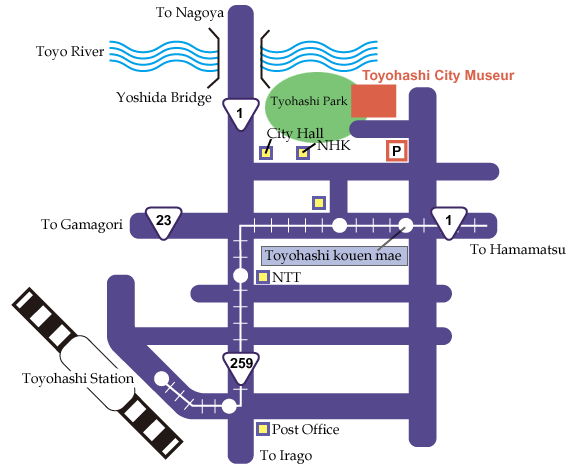 Take streetcar from Toyohashi station and get off at Toyohashi kouen mae.